Do you need some help with training your dog? Sea Spot Walk will be offering five 30-minute training sessions at $45 at Dogma Pet Portraits studio on Saturday, March 17. Choose your topics from the list below. Call 714.642.9021or email info@dogmaptportraits.com to book yours! Focus - 15 minutes - A very useful cue, this teaches your pup to give you their attention on command. Sea Spot Walk will give you a solid foundation and homework to practice this behavior. 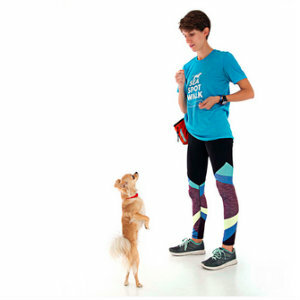 Sit - 15 minutes - Teach your dog to sit from start to finish! Sea Spot Walk will show you how to keep improving their response time, increase duration, and how to maintain. Stand - 15 minutes - This can be a helpful cue during vet exams, grooming, and is a great behavior to add to your dog’s repertoire. Down - 15 minutes - While down can be one of the more difficult cues for a dog to learn, Sea Spot Walk will give you a variety of methods and techniques to practice with your pup. Trade - 15 minutes - Teach your pup to give up object they have in their mouth in exchange for what you have. Bring some of your dog’s favorite toys for this. Stay - 30 minutes - They’ll show you the best ways to teach your dog to stay, then we learn how to improve duration and decrease distractions over time. Come - 30 minutes - One of the most important and most difficult cues to solidify. They will show you the best methods and fun games to give your dog a strong recall behavior. House Breaking Discussion - 15 minutes - Issues with potty training? They'll talk about how to deter your dog from having accidents while enforcing potty in the proper place. Crate Training Discussion - 15 minutes - A great positive tool for puppies and dogs who are having trouble with potty training, chewing, or other destructive tendencies. If you already have a crate, please bring it! dogma pet portraits is at 1727 Superior Ave. in Costa Mesa.